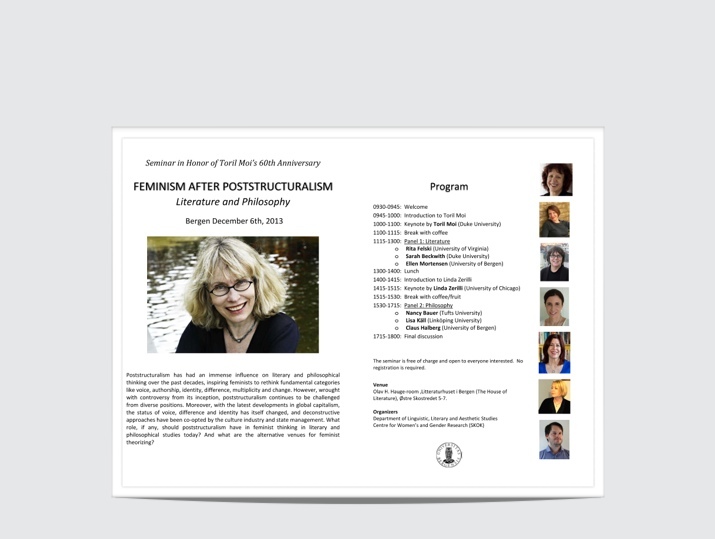 Here is the program for “feminism after poststructuralism” seminar in Bergen on 6 December 2013. Download program. 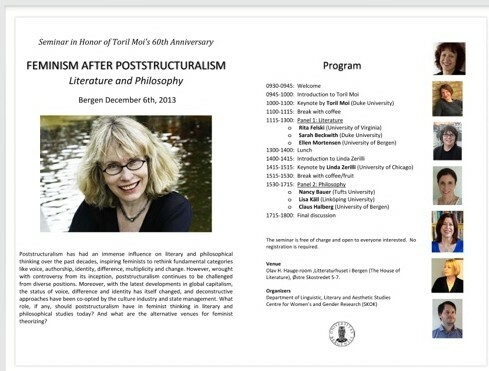 On December 4 I’ll be interviewed by Hilde Sandvik, at Bergen’s new House of Literature. Thursday 4 December 7 p.m. Litteraturhuset, Bergen. 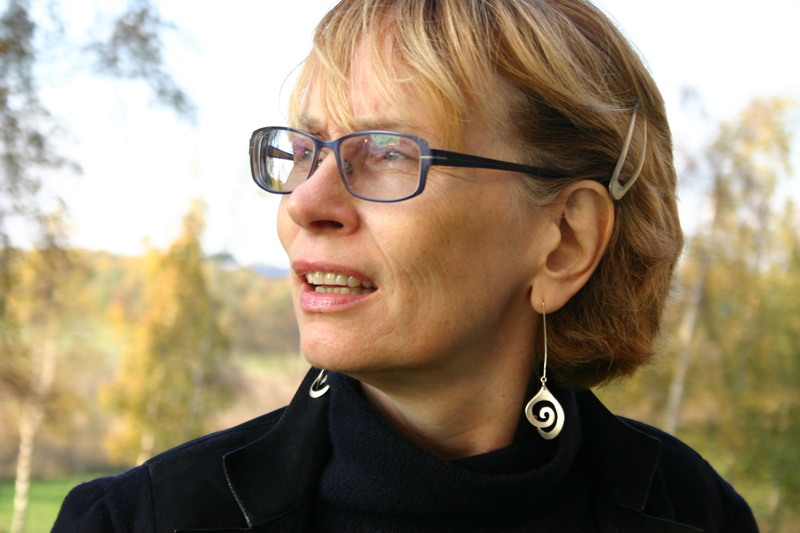 Here’s a link to a very nice commentary by Hilde Sandvik, connecting my little pamphlet “Språk og oppmerksomhet” to Alice Munro’s Nobel Prize, published in Bergens Tidende on 11 October 2013.